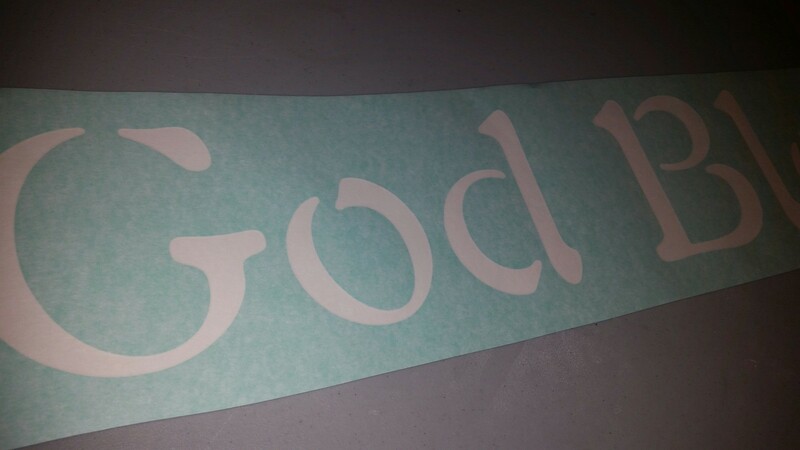 God Bless Our Home Stencil - using vinyl and a little spray paint to make your own creation! This is a ONE-TIME USE stencil. Take an old weathered board plenty of life left in it, and turn it into something Pinterest-y and beautiful! Each stencil will arrive to you in a glossy vinyl. Prepare your board with a little pre-painting (if you so choose) and sanding, or just a quick sand and a clean up. Place your stencil where you want it. Tape off and cover the remaining border of the board, then paint. Our boards literally only take 15 minutes to dry. Then peel and dispose of the stencil to reveal a beautiful piece of custom work for yourself! Each stencil comes with complete instructions.